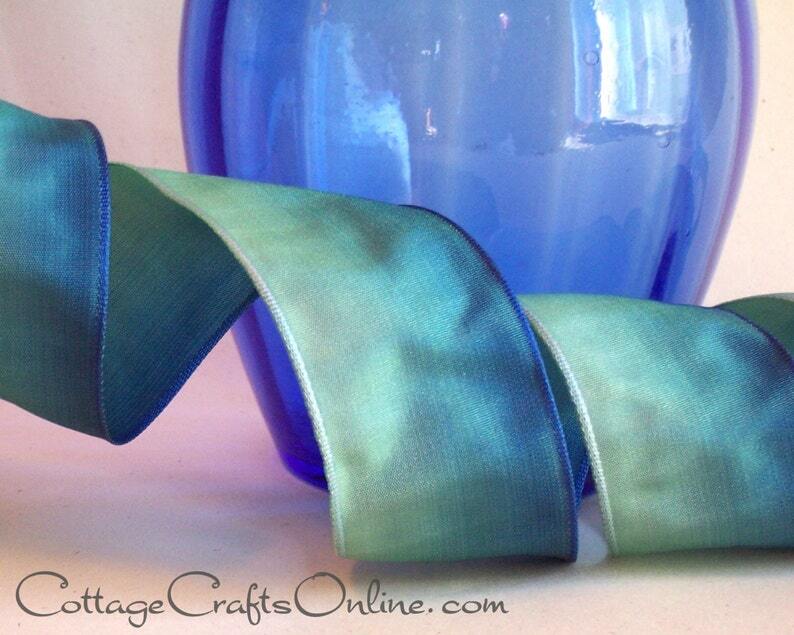 Offray Ribbon's Ombre wired ribbon 1 1/2" wide, is woven to blend and shade from one color to the other, creating a range of tones which show on both sides of the ribbon. This is Offray's color "Teal" ranging from a light blue green edge through deeper blue greens in very natural shades. This listing is for a 15 yard roll.